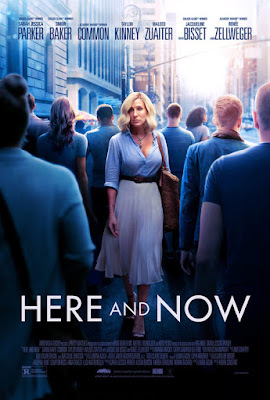 romance drama HERE AND NOW which is scheduled for Northern American cinema release for November 9th! 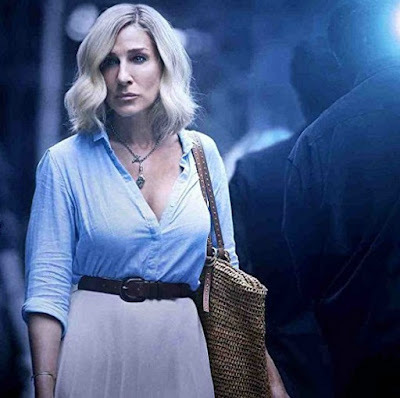 The movie, previously known as The Best Day of My Life and also Blue Night, stars Sarah Jessica Parker, Simon Baker, Renee Zellweger, Taylor Kinney, Jacqueline Bisset and Common. HERE AND NOW described as an homage to the 1962 Agnès Varda film Cléo from 5 to 7, sees Sarah Jessica Parker in a praised role of a singer in New York who gets a grim diagnosis that puts her life and dreams into perspective. Directed by Fabien Constant (as his first feature movie), this touching drama had its world premiere at the Tribeca Film Festival earlier last April 19! Simon Baker plays Sarah's ex husband and Jacqueline Bisset is her mother.